Road trips are synonyms with summer, it gets us Outside Suburbia, whether that is outskirts of Dallas on the country roads or somewhere in Europe. We have gotten lost in Andalusia before, went chasing after lavender in Provence one summer and drove around the ring round in Iceland last summer. 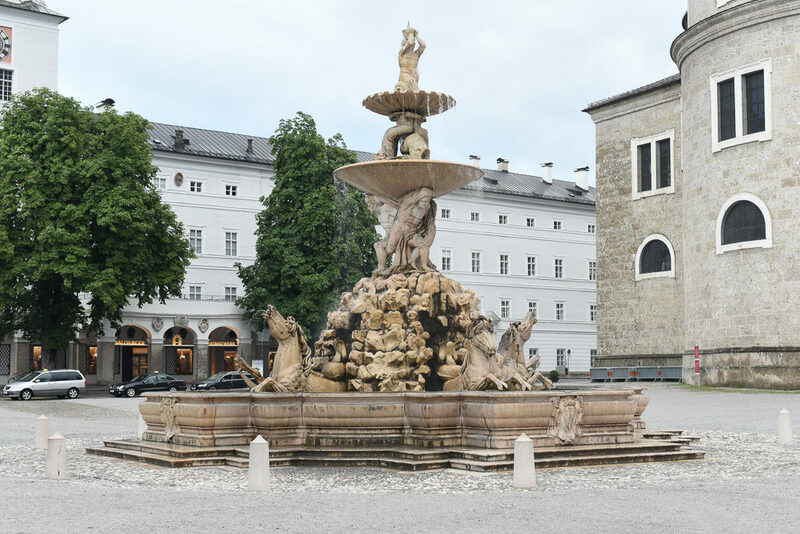 This summer we decided to visit the pristine Austrian and Swiss Alps and came up with a 2 week itinerary that covered the some of the best of route, at least for a first time trip… we are so enamored with this region: the mountains, the windy roads along the clear streams, the pretty villages on the foothills of gloriously green mountain ranges with window boxes covered with blooms. 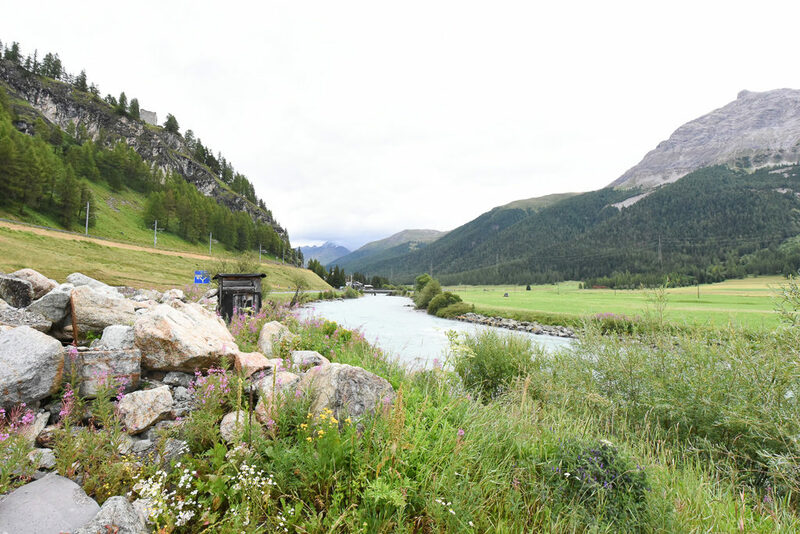 The grass on the Alps is a shade of green so pure and shimmers gold when the sun hits it, we were jealous of the cows and sheep grazing away happily with no care in the world. 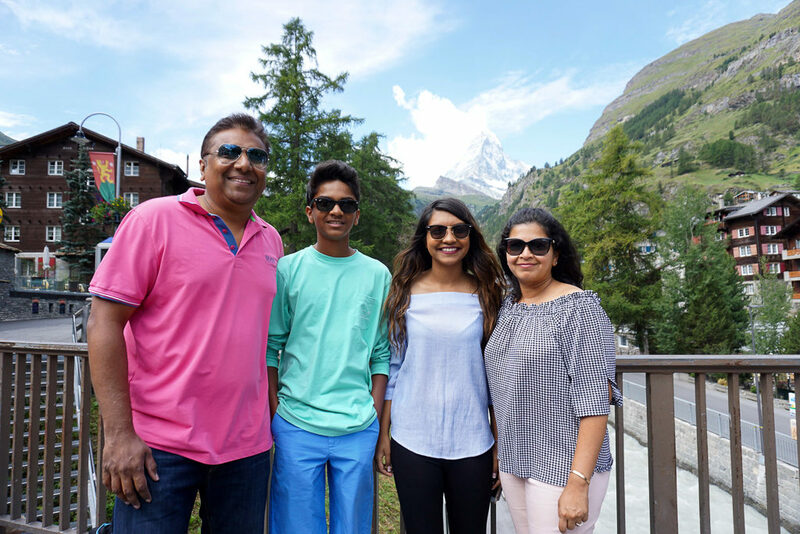 We were driving from Ascona, Switzerland to Zermatt while D who was busy being our DJ for the trip, exclaimed “Dad we are in Italy” – we had no plans on driving through Italy! But sure enough, the unmanned border crossing sign confirmed we were driving through one of my favorite countries. 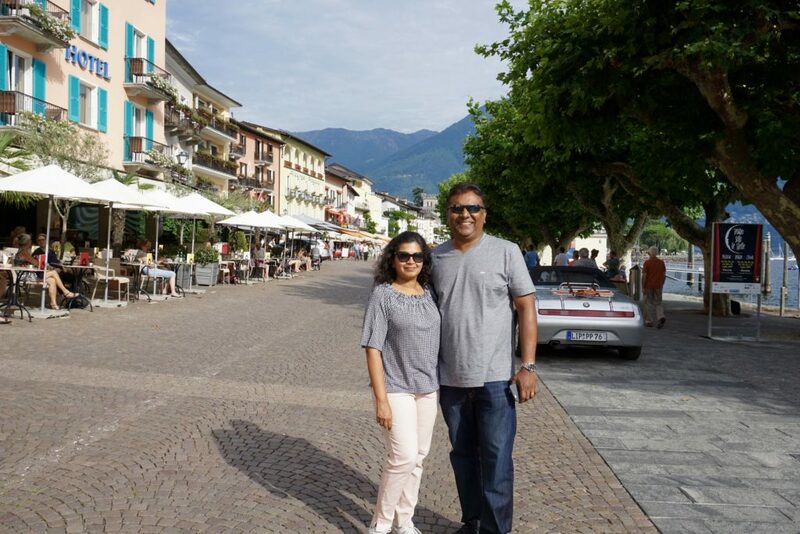 We had to stop for some Cappuccino and Gelato – because as you know – when in Italy you got to have some… We scheduled two or three days in mountains of Austria and Switzerland each, to simply enjoy the fresh air and the peaceful mountain scenery – to may be go on some hikes, have a picnic and enjoy the quiet and recharge our batteries. Some cities we just stopped for a meal, if we had more time we could have easily spent days if not weeks in each location enjoying the local cuisine and getting lost in the small roads lined with cafes and sweet homes. 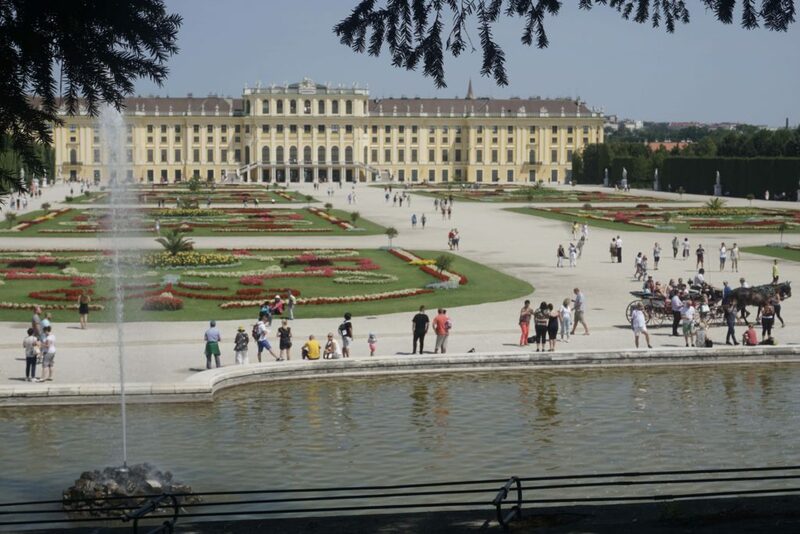 We flew into Vienna where we picked up our BMW from Sixt Rent A Car. We love Sixt because you can you not only rent a luxury car, but you can rent it for almost the same price as economy cars. Sixt has become one of our favorite car companies after we had rented a Cadillac on our recent trip to Napa. Sixt was originally started in Germany over 100 years ago, and has recently made its launch in the US. They now has over 4,000 locations in over 105 countries making it the largest premium rental car company! The 5 Series BMW we rented was fitted BMW Heads-Up Display that projects all information relevant to the journey directly into the driver’s field of vision, allowing to fully concentrate on driving. Mr Suburbia mentioned a few times during the trip how the display included data such as the current speed, speed limit information including no-overtaking indicator along with information and warnings. The icons projected onto the windscreen were displayed in a high resolution and in full color making them easy to read. The roads signs are not often in English, so you can easily miss exits, take the wrong one and getting lost – having the navigation system really helped. We bought Vignette which are basically, a pre-paid toll sticker that is placed on the windscreen of the car. All of the freeways (autobahn), federal highways (Bundesstraße) and expressways (Schnellstraßen) in Austria are cashless and the stickers, called “Vignette” are required by all drivers in order to use the motorways. You can buy these at the gas stations, some rental cars already come with them. When we were near the Swiss border, we got Vignette for the Swiss motorways. The local police conduct regular checks on all vehicles and issue very expensive fines for cars not displaying a Vignette. 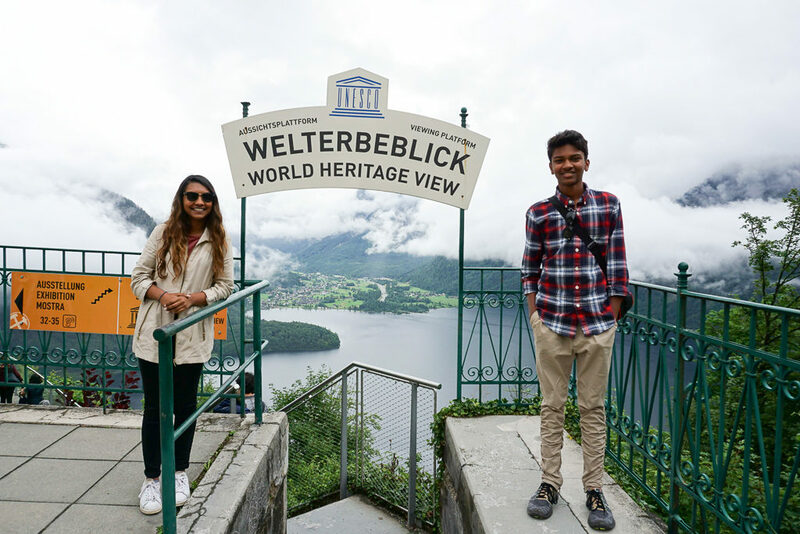 From Vienna to Geneva, here are the highlights of our Best of Alps road trip – we drove about 1500 kilometers… Mr Suburbia did, I chalked up the route and navigated. 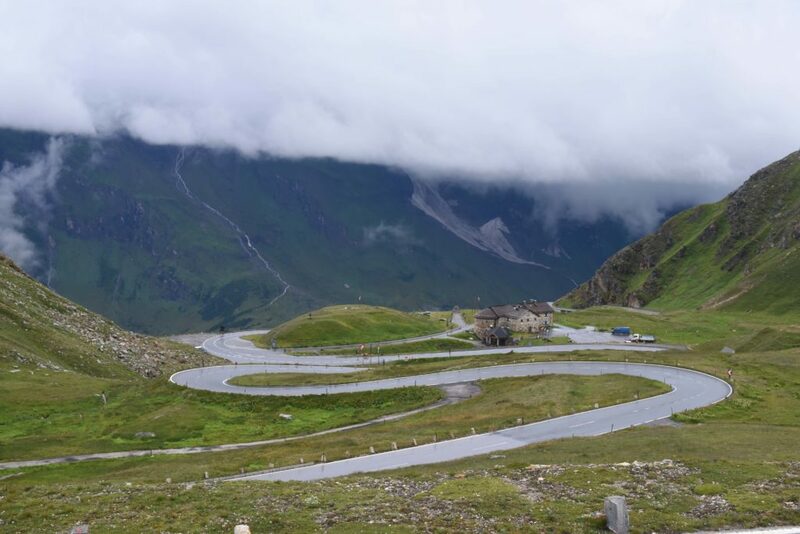 13.1 You might also like – Texas Road trips, Sea to Sky Highway Road Trip in Vancouver,Easy Adventures and driving around the Ring Road in Iceland and other posts from Austria and Switzerland. 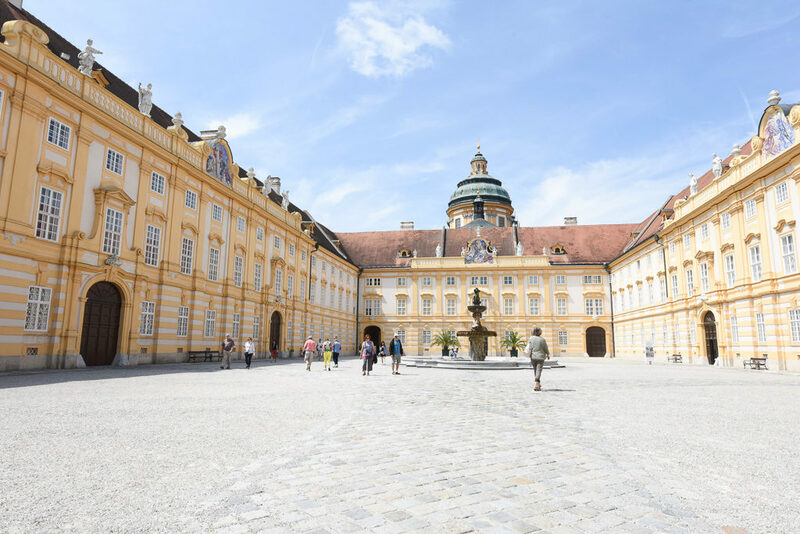 We flew into Vienna, spent a few days there, then rented a car and drove through the idyllic villages, bustling cities and some of Europe’s highest mountain ranges. 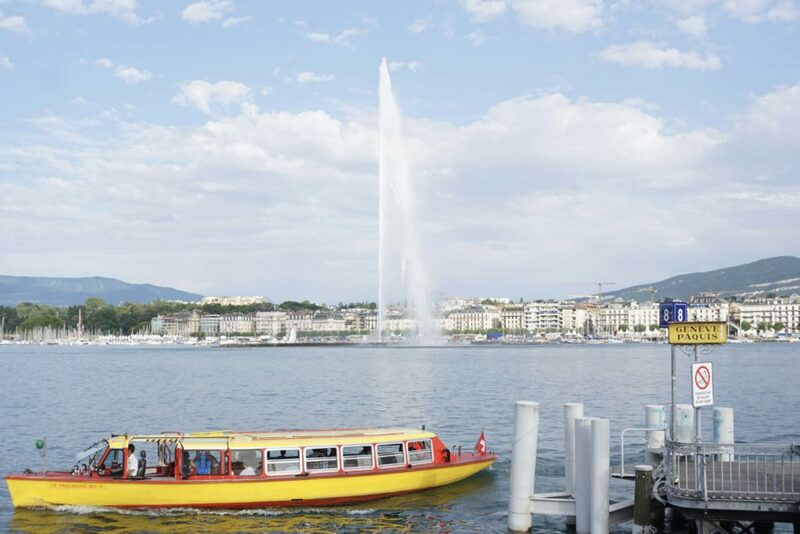 When we reached Geneva, we dropped off the car spent a few days before flying back home. 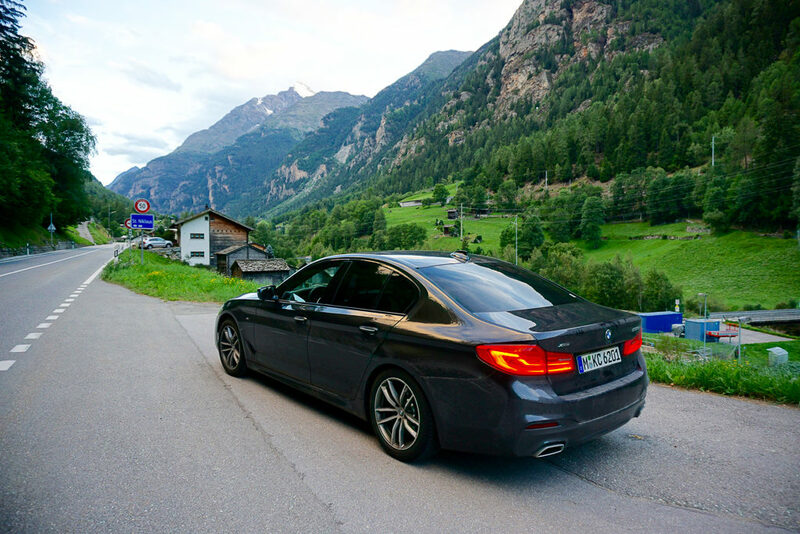 Stay tuned for more in depth articles from our epic road trip in the Alps! 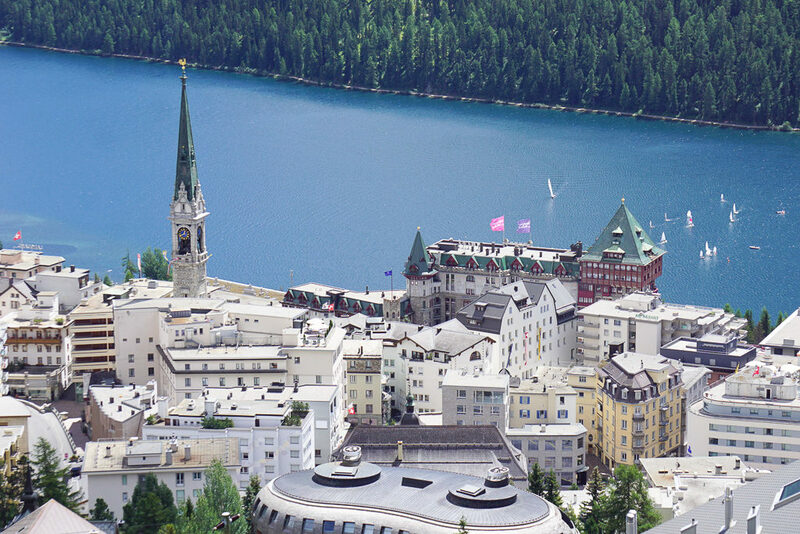 Have you visited the Alps, let us know some of your favorites cities – we would love to add them to our itinerary on our next visit. You might also like – Texas Road trips, Sea to Sky Highway Road Trip in Vancouver,Easy Adventures and driving around the Ring Road in Iceland and other posts from Austria and Switzerland. I love to wander around and explore, especially in a new place. I often use Airbnbs that are managed by professional companies so it’s more clean and easy to use. I loved the pictures taken by you. I always love this place. even I am a repeated visitor of this route. I am inspired by your blog and information this is really awesome. Those are some great tips on renting the car and the tolls! Your photos are lovely and it looks like it was an amazing and diverse road trip!! First off very cool that you got to rent a BMW. Luxury roadtrip fun times. Looks like you got to see a lot of beauty even in between. I would love to see some of these places. How exciting the whole family went on this trip! 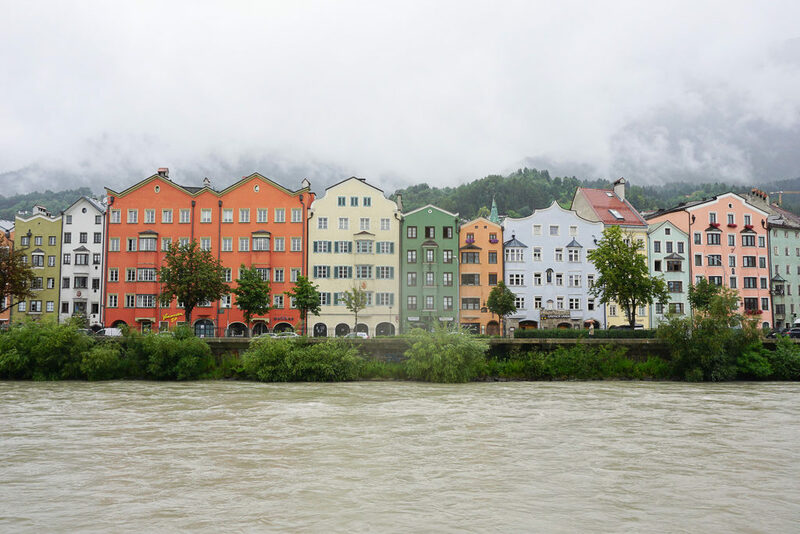 I’ve been to Salzburg and Hallstatt, and I loved Hallstatt. I wish I visited Vienna. I LOVE road trips. But I’ve never considered doing one of the Alps. It looks like an incredible time though – I love having the freedom of a car to spend as much time in a place as I want. Such beautiful shots – I love the castle in the second to last one!